The Belgian colonization of the Congo was one of the worst examples of exploitative behavior from a European colonial power. Here we look at Belgian King Leopold II and the USA’s role in his acquisition of the West-Central African territory of the Congo. The story of King Leopold II of Belgium and his obsessive quest for an African colony is a tale of greed, devastation, and woe. It is a journey into the darkness of humankind, with brutality and hypocrisy the sole victors. King Leopold’s Congolese experiment took several decades to develop and implement as this clever but devious King slowly and carefully maneuvered himself to manipulate many, including the people of the Congo, the international community, and even his own subjects. Motivated by desire, greed, envy, his own ego, and several other interested parties, a colony was established which would have tragic and lasting consequences for the native population. A young Leopold in 1853. He would later become an ambitious, greedy King. 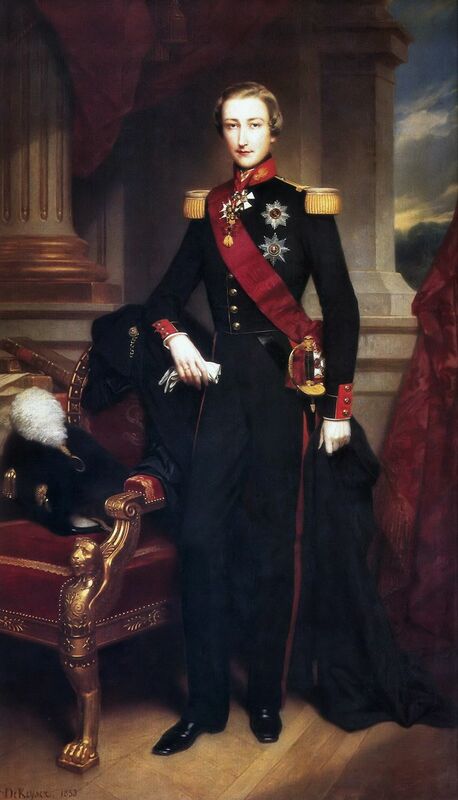 Leopold was born in Brussels, Belgium in 1835, and he came to power when he became King in 1865. By the time he became King, two things interested him greatly: territory and money - by which I mean financial gain. The combination of these would prove to be of great significance in his later life, along with that of millions of others. He became very jealous of the Great European Powers around him; of their riches, their power, and most importantly, of their colonies. He was very ambitious but equally frustrated. Belgium was too weak for him and his ambitions. Petit pays, petit gens (small country, small people) goes the phrase; however, the country that Belgium had gained independence from in the 1830s, the Netherlands, had a sizeable empire. He wanted such an empire for himself too. The Congo was one of the areas in Africa that was not recognized by all major powers as belonging to a European Power in the 1870s, and it promised many treasures, such as ivory and rubber, ready to be harvested at the cost of the native people there. Nonetheless, before Leopold could stake his claim on the land, he would have to manipulate several European nations to recognize his claim over it. But he also wanted the support of the United States. And why the USA? After all, in the 1870s the USA was still quite inward-looking and trying to grow internally. The answer is that even at this time, the United States was fast becoming the most powerful and richest nation on earth, and to have its recognition of Leopold’s claim to the Congo would go a long way to convincing his European rivals. It was in that light that Leopold began his great quest. One of Leopold’s early moves was to contact the United States’ ambassador to Belgium, one General Henry Shelton Sanford. He commissioned Sanford to acquire the services of the famous British-American explorer Henry Morton Stanley. Stanley, like Leopold, was extremely ambitious, and also had an egotistical and ambitious streak about him. By the time Leopold had secured his service, Stanley had already crossed the Congo, and had famously found the British missionary David Livingstone in 1871. In addition, Stanley had written about his escapades in Africa, presenting himself as something of a 19th century hero and celebrity. Acquiring the services of possibly the best explorer in the world was something of a coup for Leopold. Ambassador Sanford’s involvement would go much further. It now became his responsibility to convince the President of the United States of Leopold’s claim and plans for the Congo. If the US could recognize this claim, Leopold would be in a very powerful position. But what would the US get in return for this recognition? Leopold promised the US that its citizens would be able to buy land in the Congo, and that US goods there would be free of all customs duties. Furthermore, Stanley had been touting himself as ‘born and bred’ in the United States, meaning that an American had not only played a role in discovering the Congo, but that one would continue to play a role in the territory. This was important to the United States as it was growing in stature and being recognized as a significant power in the international community. Sanford’s own personal motivation was purely financial as he would stand to gain a great deal from this trade. As such, he lobbied the executive branch for recognition, despite Leopold omitting the fact that he had a monopoly on all trade there – and had no intention of giving it up. Although Sanford’s business affairs in the past bordered on poor to sketchy, and he owed his prominence in large part due to his inheritance, he saw this as too good an opportunity to pass away. He reasoned that any failure as a businessperson would be countered by his success as an accomplice of Leopold’s. He had already succeeded in acquiring Stanley’s services, and his involvement led to the United States recognizing the Congo as a colony of Belgium. Sanford even received royal praise from Leopold for his work, something that he actually valued more than the money itself. Another key person in lobbying the President in favor of Belgium’s claim was Senator John Tyler Morgan. His wish was for the African-American population to return to Africa after the abolition of slavery in the USA. Morgan was very fearful of an African-American uprising, following demands for equality and liberty. He had also quickly seen an opportunity to send the black population back to Africa to work with the Congolese in enhancing trade, and as a place to sell any surplus cotton. After the President of the United States agreed to recognize the Congo as being under King Leopold’s rule, it helped Leopold in petitioning European Powers to do the same. Leopold offered the French droit de preference, first right of refusal, should Leopold go bankrupt in his efforts to colonize the Congo. The French were extremely concerned about Leopold going bankrupt as they felt the colony would then fall into the hands of the British, their closest rivals, in part due to explorer Stanley’s Welsh origins. Because of this, the French were relatively easy to convince. Leopold also promised them the same trade agreement as the USA, but omitted to tell them of the one he had already agreed with the US. The French then recognized Leopold’s claim. Leopold’s claim to the Congo was more formally agreed in the 1884 Berlin Conference, and the Congo Free State was declared the following year. Leopold and Belgium now had their part of the wider European Scramble for Africa. You can read about another European attempt at colonizing Africa in our article on the Italian colonization of Libya in issue 1 of our magazine History is Now. Click here to download the app and to subscribe for free for 2 months to the magazine.